Below is a listing of organizations within Washington that support boys' and girls' youth lacrosse. Below is a listing of organizations within Washington that support boys' and girls' high school lacrosse. Information on men's and women's collegiate opportunities can be found below. For more information please visit the PNCLL website. The most active level of lacrosse after college is through post-collegiate club lacrosse. The club lacrosse scene varies by region, but many areas have leagues for men and women.  There are also numerous tournaments around the country for post-collegiate teams that include options for players of various age and skill levels. Click below for more information on post-collegiate club opportunities. Please visit the following websites for information on men's and women's post-collegiate lacrosse in Washington state. Men - Pacific Northwest Lacrosse Associate (PNLA) - no official website.